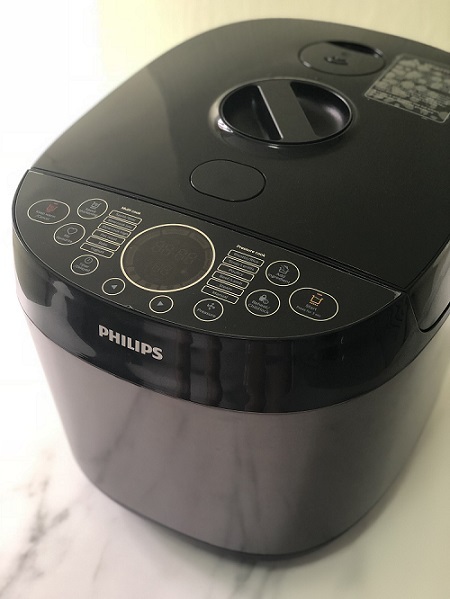 Philips Multi Cooker Review - Is It The Best Pressure and Slow Cooker? We spent 2 whole weeks with the Philips Deluxe Collection Multi-cooker. We liked it a lot. Its functionality would fit into any household seamlessly. Here are 8 reasons that have persuaded us on it being a good buy. After that, take a look at how we used it to cook a whole chicken in under 40 minutes. And we were very impressed. 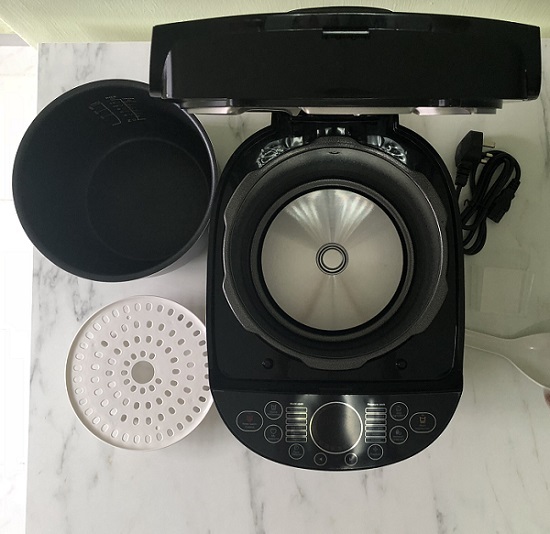 If you want to check out the Philips Multi-cooker HD2415/62, it is available on Lazada for $339. It is definitely worth the price tag! Homes are getting smaller. Countertop space is precious. Instead of having both a slow cooker and a pressure cooker, why not replace them both with the Philips Deluxe Multi-cooker? As you can see from the picture, it has a range of different presets. It can slow and pressure cook perfectly. Additionally, you can even use it as a rice cooker. Also, you can manually configure the pressure and time to suit whatever recipe you are following. You will definitely fall in love with its versatility. Pressure cooking is a real time-saver. It can save you hours of waiting time compared to cooking on the stovetop. Even after a long day at work, you can prepare a sumptuous meal for your family within an hour or less! It took around 5 minutes of prep and 35 mins of hands-off cooking for our whole roast chicken experiment. 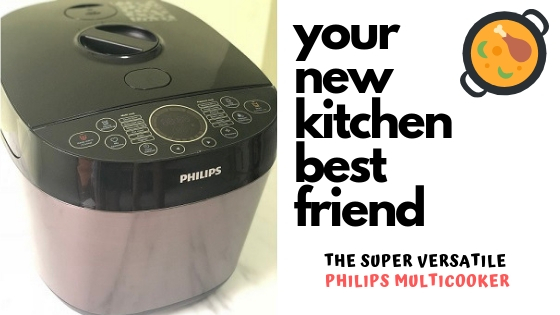 If you are time-starved like most Singaporeans, you will definitely appreciate the convenience of the Philips Multi-cooker. We feared using a pressure cooker at first. After all, you have probably heard horror stories about kitchen accidents involving the scary pressure cooker. However, most of those stories originate from stovetop pressure cookers. Electric pressure cookers like this Philips Multi-cooker are equipped with multiple fail-safe functions. There is an automatic release of pressure once cooking is done. No need to manual release of pressure which scares us! Also, Philips has an impressive track record. Its home appliances are used by millions around the world. You can be assured of safety and quality with a Philips product! Even though it was our first time using a pressure cooker, it was a pretty straightforward and easy process. We did have to take a minute or two to familiarise ourselves with its various buttons and functions. Once we took a quick look at its manual, we found that operating it was a breeze. We didn’t even have to google how much time or pressure to use. There are presets for rice, soup, poultry, beef, lamb, pot roast, baking and many more. We simply pressed the preset and let it do its thing perfectly. Here’s what came out. That’s a pretty good looking roast chicken. All credit to the Philips Multicooker. Even terrible chefs like us can actually do pretty well in the kitchen. Using it was almost as simple as 1-2-3. With 6 litres of capacity, the Philips Multicooker can make meals big enough even for large families. Look at how much larger it looks than a 600ml mineral water bottle. When we put a 1.2kg chicken inside the pot, it barely filled up half of it. You will easily be able to prepare meals for 4 to 8 people. If you like to meal prep for the week, its large capacity will be especially useful. Making a total of 10 portions of lunch and dinner is a walk in the park with this Multicooker. You’ll be able to enjoy healthier, cheaper and tasty meals for the entire week with one single cook. The aftermath of cooking is usually a massive pile of dirty dishes, cutlery, pots and pans that are just sitting there waiting for you to wash them. With the Philips Multi-cooker, you can essentially cook a one-pot meal in it from start to finish. 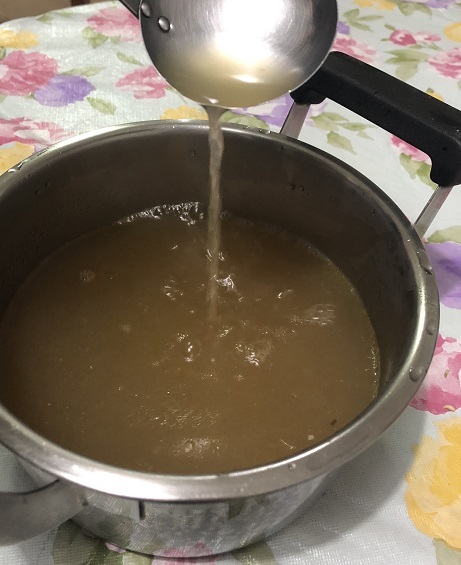 For example, when we used it to cook the chicken, we thicken the remaining liquid in the same pot at the end to create a wonderful tasting sauce. Having less of a mess after cooking will motivate you to enter the kitchen more often. You can enjoy home-cooked meals with much less hassle! Ever get bored of eating the same dishes over and over again? Together with the Philips Multicooker comes a super useful recipe book. It has recipes Western, Chinese, Indian and many other cuisines. Every recipe has clear and easy steps to follow that will result in a yummy meal. Beyond the included recipe book, there are thousands of recipes that you can find online. Take a culinary tour of the world with the Philips Multicooker! Beyond being super functional and useful in the kitchen, it doesn’t hurt that the Philips Multicooker is a good looking kitchen appliance. It has a sleek and modern exterior that would complement any kitchen. Its build quality is also exceptional. It feels and looks like a very high-quality appliance. Thanks to Philips, we were able to test out the multicooker to see what it could offer to home cooks. Here is our entire experience with it. Long story short, it was a good experience! There were a couple of things that we wanted to test. Does food coming out of the Philips Multicooker taste good? Will we save time? How much time can will we likely save? 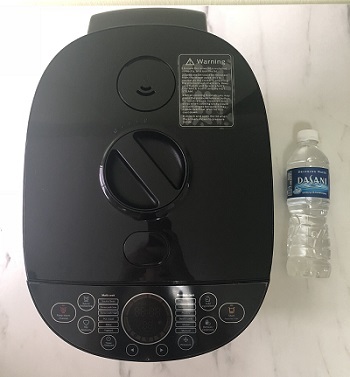 How easy is it to use for someone who has not used a pressure or multicooker before? Will it be too complicated? 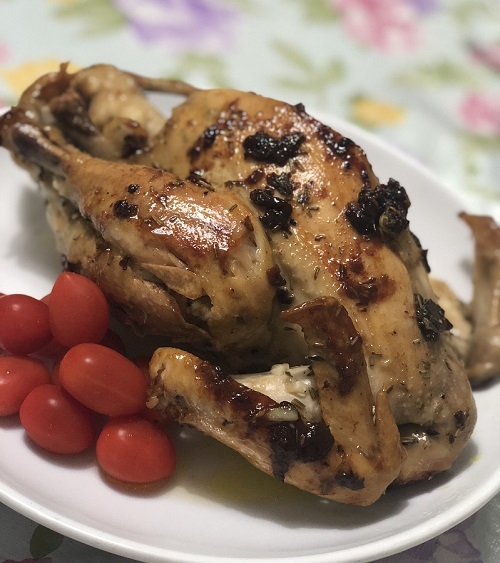 A simple chicken. We have tried cooking a whole chicken perhaps a dozen times before. Usually, we use the oven and slow cooker. With that, we felt that we had a good baseline for comparison. After that, we wanted to make a simple chicken broth with the remaining chicken bones. Chicken stock is also something we have made plenty of times before. 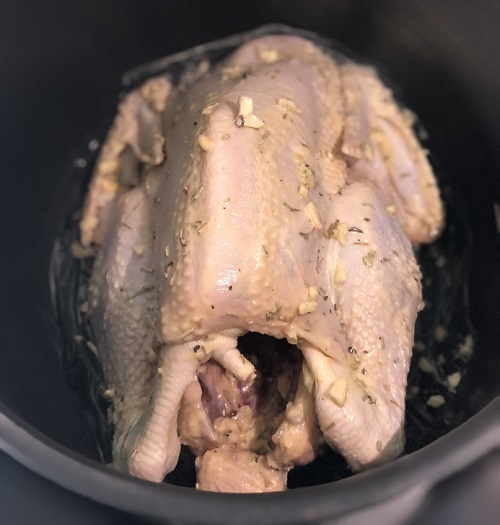 Therefore for us, it would be easy to tell if the pressure cooker is better than other methods of making chicken stock. We kept it simple. A 1.2kg fresh chicken that was washed and dried with paper towels. Some simple herbs like rosemary, thyme, salt, pepper and brown sugar. A slab of butter and 4 cloves of garlic. For the chicken stock, we deboned the cooked chicken and added in a sliced carrot. We find simple recipes to be the best at determining whether an appliance does its job well. First, chop up the garlic. After that just spread all the spices, garlic and slightly melted butter evenly on and under the skin of the chicken. This process took a minute at most. After that, we put the chicken into the pot and officially started the cooking process. The Philips Multicooker may look intimidating at first. There are so many buttons on it. However, when you look closely, you’ll find that each button serves a clear purpose. To cook the chicken, we had to close the lid and slide the pressure lock gauge. Following that, we just turned it on and chose the “poultry” setting before holding the start button. After that, it was hands-off time until the cooking process, and automatic pressure release was done. In the end, we wanted to thicken up the sauce. We took out the cooked chicken and used the “sauce thickening” function. The sauce thickened up within minutes and served as a yummy dipping sauce to eat the chicken with. The chicken was very tender. Even the breast meat was soft and juicy. Compared to an oven roasted chicken, it was definitely more juicy and tender. Some parts of the chicken were also nicely caramelized. While the skin wasn’t crispy, it had a nice bite to it. If you like more caramelization, you can use the “saute/sear” function. Compared to a slow cooker, we felt that it was on par for tenderness and juiciness but about 4 times faster in terms of cook time. The entire process of cooking the chicken took around 40 minutes. For the broth, it took approximately 1 hour. It may not seem that fast, but when you compare it to stovetop or slow cooking, it cuts down the time by 2 to 3 times. Also, most of the time is hands-off cooking. There is no need to keep watch over it. 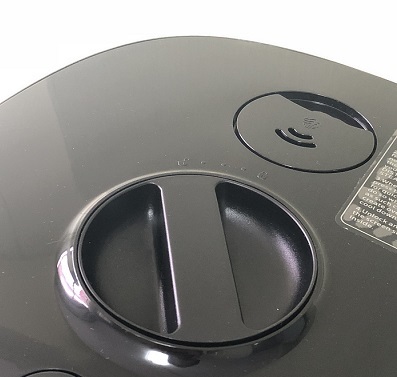 Overall, it is definitely a time and effort saving appliance. The broth had a clear chicken essence to it and tasted great even without adding any salt or seasoning. It was an excellent base for a small hotpot the next day! 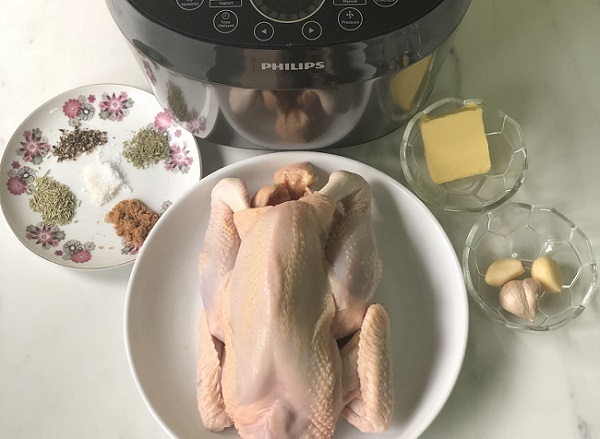 Right now, you can buy the Philips Deluxe Collection Multi-cooker on Lazada direct from Philips. It costs $339 and comes with an international warranty for 2 years. Yes. Any kitchen appliance that saves time and makes things simpler is worth the price. An investment in the Philips Deluxe Collection Multi-cooker will even encourage you to have more home-cooked meals. No more spending a bomb on restaurants! 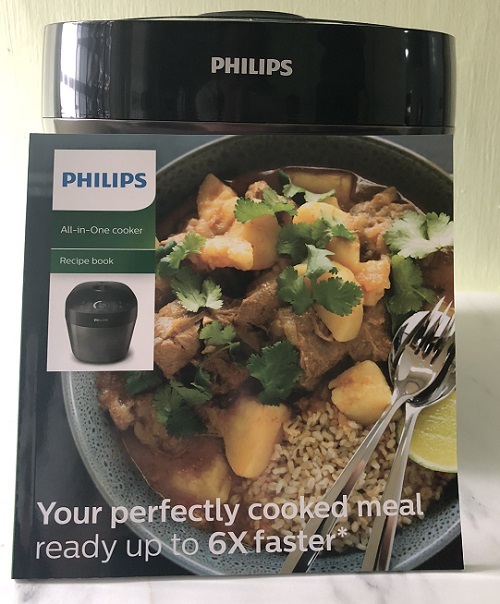 commentLeave a Comment on Philips Multi Cooker Review – Is It The Best Pressure and Slow Cooker?